This is a beautiful little telephone. A special edition made to commemorate the queens Jubilee in 1977. This is marked underneath with " A product of the P.O. factory CWMCARN to commemorate the silver jubilee of her majesty the queen Elizabeth 11 1952-1977" This was manufactured in 1977 in a deep royal blue. 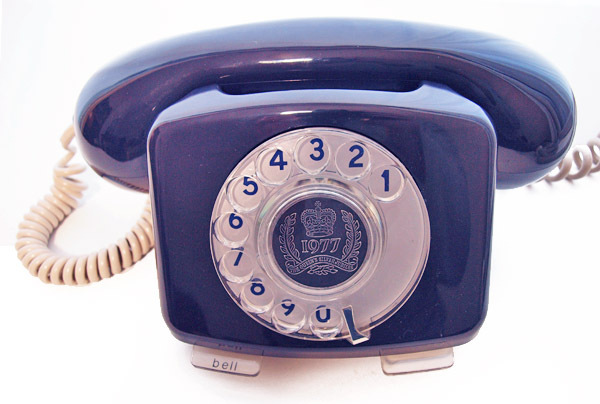 This one retains its special royal crest in the dial centre and is fitted with an electronic microphone. This one has an additional button to the front to switch the bell on and off. 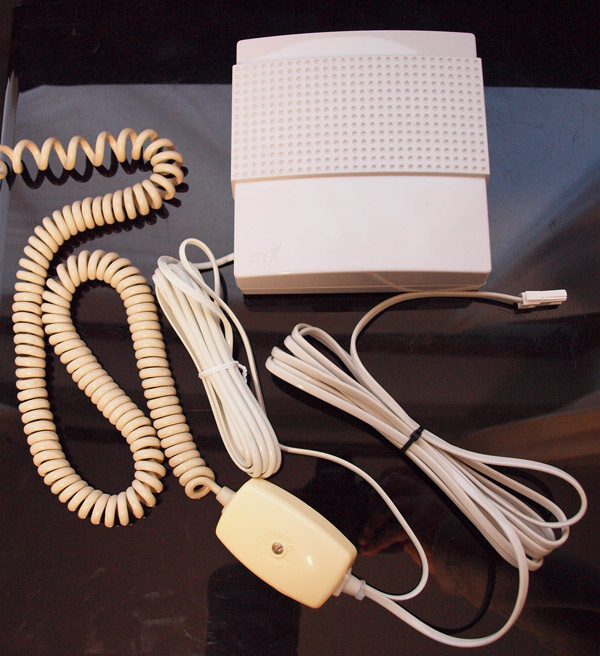 It has a long curly cord from the telephone and I have added an ivory plastic G.P.O. connection block with a bell set wall mounted 50E loud extension bell with 3 meter line. the bell set has fitting instructions including template and screws to mount to the wall. The bell set is new old stock and mint condition. The connection block has a 3 meter line in cord with a UK telephone plug socket. 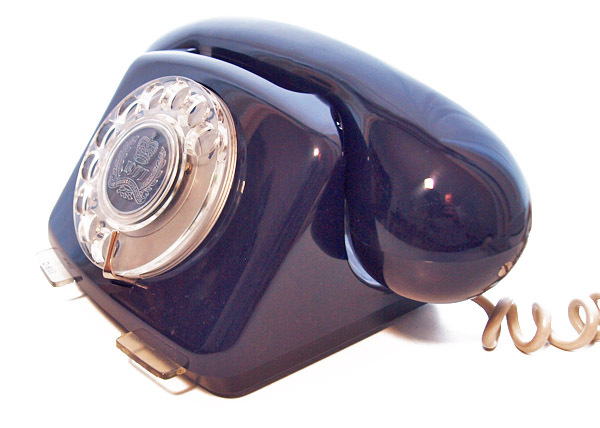 This is a wonderful telephone and set up to work perfectly with he bell on bell off switch working as it should.